Boats to be Sailed, Stories to be Told! 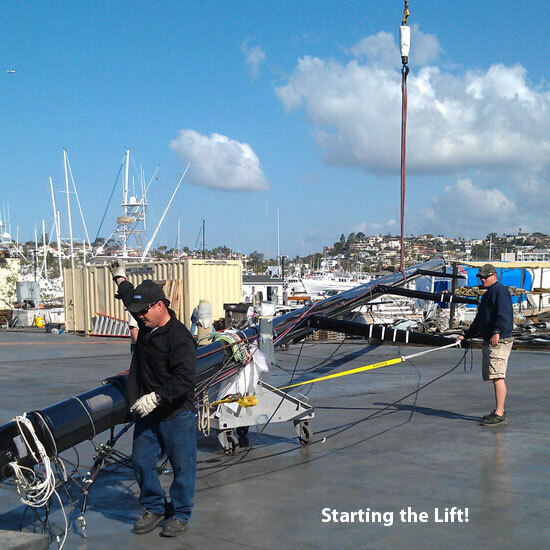 I’ve been here in San Diego helping to prepare a beautiful “Santa Cruz 52″ called Bodacious IV. (Yup, she’s a sister ship to our Bodacious Dream.) She’s here to compete in the Newport to Cabo San Lucas race at the end of March, and then come July, in the Trans-Pac Race which runs from Long Beach, CA to Honolulu, HI. 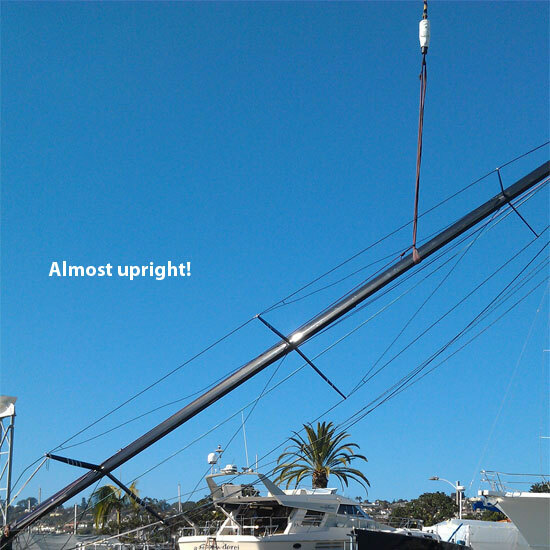 In the last two weeks, after her arrival here by shipment from the Midwest, we’ve put on the keel, installed the rudder, put together the rig and stepped the mast, put all sorts of pieces and parts back in place, launched the boat and we’re sail testing it this weekend with the captain, electronics and navigation gurus! 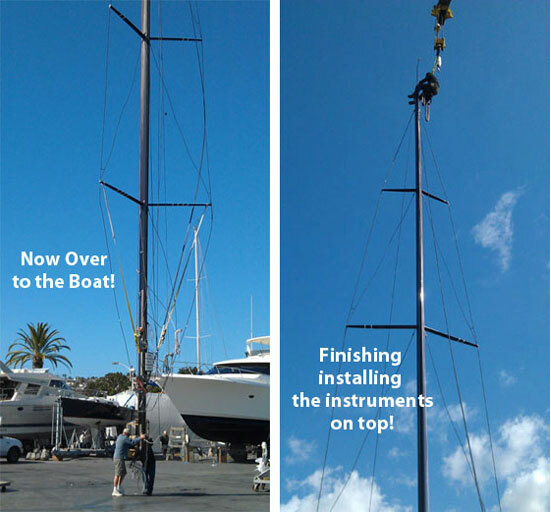 Here’s what it looks like to set up and step (what we call installing) the rig (mast)! The process looks easy, at least when you’re working with the talented people from Driscoll’s and Rigworks! Soon after that, I’ll be heading back to Charleston, SC to resume work on Bodacious Dream to get her ready for the upcoming season of racing and sailing which will start off with The Atlantic Cup Race on May 11, 2013. This promises to be another great event put together by Manuka Sports Management, and we are expecting some very intense competition this year. Two of our competitors from last year, Toothface and Ahmas will have new generation boats that will keep us on our toes for sure! We’ve got more exciting news planned for the coming few months, and we’ll be letting you know about all that very soon. So please keep a lookout for our updates here, on our mailing list (signup form above) and over on our Bodacious Dream Facebook Page. Thanks again, and our very best to all of you!